Over-sized bag is not just a trend followed by more or less ladies. 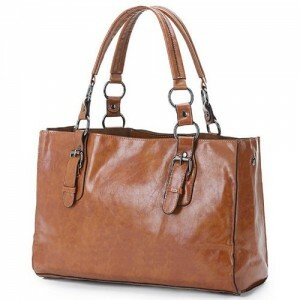 This type of bag is very practical and appreciated by a lot of people for her qualities. We are talking about an extremely large bag and terrible useful no matter if we are using it for going to work, paying a visit to our closest friend or at the supermarket. Having one bag like this one in your closet is absolutely mandatory. Over-sized bag is in trends for a while, since 3 years ago when she started conquering the American market and also the European one. And sometimes, if we are talking about a very big bag you can even take with you your gym equipment. 1. When you leave somewhere far with a plane or a train this bag is a real help. Think how important it is to have so close all your things when you need them. 2. At the office; well yes, your job occupies a lot of your time so your tablet, paper works, and in some cases even your laptop can be carried in this bag. 3. Day by day, a woman’s schedule in this era is dominated by speed it’s absolutely insane how fast is going one our lives. We are always in a hurry, we arrive home only to change our clothes for the next meeting or to get out on a girls night. Whatever your reason might be, don’t forget that an XXL bag is not just a caprice or a trend , it’s a necessity. How many times you felt sorry your bag is not too large enough to carry all the things you might need? I hate having to carry all the stuff I need in three different bags at once , so one over-sized bag it’s my favorite choice. Although it’s nice to have everything you might need with you to be prepared for every situation at all times, carrying all that stuff with you all the time might harm your shoulder so you must pay attention how your bag can minimize the risk. Choose bags with wide holders to disperse the weight more properly. Also postman’s kind of bag with one long holder across your chest it’s a good choice. In the end , be aware that this king of bag doesn’t suit with just every outfit so wear it properly. ← Spring is coming ladies -What about some new shoes?